Of course, I am one of those people who celebrate my birthday all week… and why not? Oh.. I know– when all is said and done, I will really have to go on a FULL SUGAR DETOX and I am so not kidding. 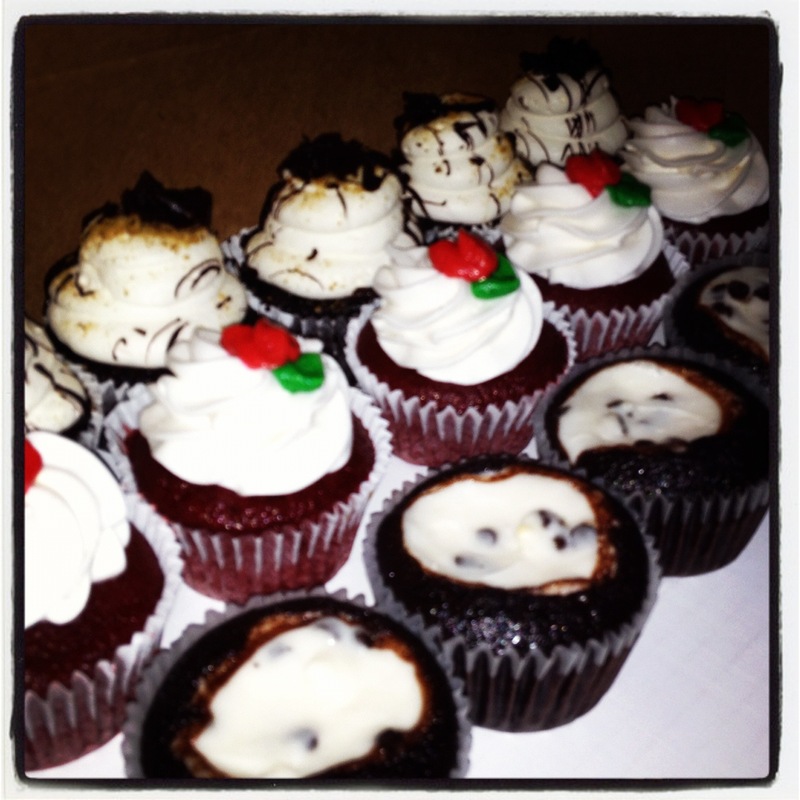 I ordered my cupcakes from VEGAN TREATS along with my birthday cake and had to pick them up along their delivery route. Vegan Treats delivers to many NYC and Brooklyn restaurants. It’s my personal opinion that they are most famous for their incredible peanut butter bomb! The plan was to save the cupcakes for a few days later but I had to post the picture right away since they may not last until my other birthday celebration. This time it was suppose to be all about the peanut butter bomb mini cupcakes– it was the first thing I ordered. From there I moved on to other flavors and my birthday cake. I was tempted to get all peanut butter since that is my all time VEGAN TREATS favorite! I made room in my mind anyway for a few other flavors- I went with SMORES, RED VELVET and a black bottom cream cheese filling type. Red Velvet is another strong contender for favorite cupcake status. They called to verify a few things with my order the day before delivery. Unfortunately, I missed that call and ended up with everything EXCEPT the peanut butter. Normally, this would get my mood going in the opposite direction. Their cupcakes though… they are THAT GOOD and besides, I totally would have eaten them all anyway. The cupcakes were amazing! I’m good for a while now!